It is very important to detect and start treating pityriasis rosea. Treatment is performed by pharmaceuticals which control the disease and reduce the inflammatory symptoms; however, barely affect flushing or enlarged blood vessels. This is where the new Candela VBeam Perfecta pulsed-dye laser comes in, essentially reducing and getting rid of flushing caused by rozacea. This laser is considered to be the most effective and gold standard for treating chronic or occasional flushing, enlarged capillaries, and other vascular lesions. Candela VBeam Perfecta targets both visible blood vessels and the smallest enlarged capillaries which cause the flushing sensation characteristic for pityriasis rozacea. It removes a large superficial network of blood vessels associated with the redness, takes off flushing, and reduces the inflammation once certain inflammatory elements specific for pityriasis rosea occur. 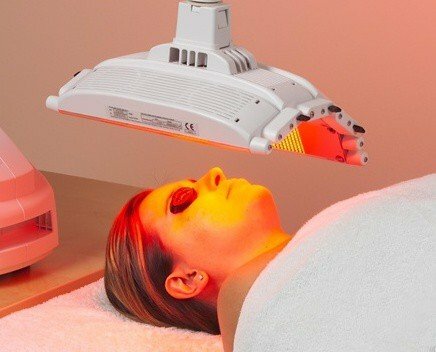 The laser also stimulates collagen synthesis, thus preventing the disease from progressing further, which is very important for rozacea patients. VBeam Perfecta laser also significantly improves the skin structure and appearance. Procedures performed by the laser are called causal treatment and rightfully so.